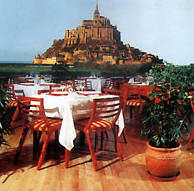 Facing Mont Saint Michel and set in flower-filled grounds, Le Relais Saint Michel offers an unrivalled opportunity to enjoy the unforgettable spectacle of the Bay, the tides and the Wonder of the Western World. 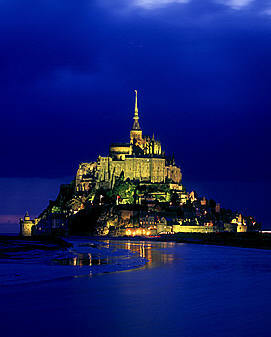 A few hundred metres away, opposite your room or the restaurant with its panoramic views, stands Mont Saint Michel, majestic and enchanting. 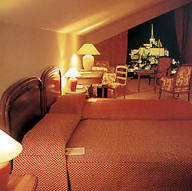 From every room and from its private terrace, in an exceptional setting and absolute quiet, wherever you look, there are uninterrupted views of the Bay, the sea, and facing you, the outline of Mont Saint Michel, majestic by day and enchanting by night, with the thousand lights illuminating this Wonder of the Western World.